Welcome to Santa Cruz Goodyear Tires and Auto Repair. Chevrolet is an all-American brand, from the venerable Impala, to the Malibu, Suburban, or the lively Corvette. Goodyear Tires and Auto Repair is a premier Santa Cruz Chevrolet repair shop - we can provide superior service your Chevy deserves. From oil change to major engine work, you can count on us to keep you Chevrolet on the road. We provide not only routine Chevy repairs, but can also diagnose complex problems your vehicle may experience. Chevys are reliable, but like all vehicles can experience occasional problems. Rest assured, we will diagnose the cause, and fix your car. For your peace of mind, Goodyear Tires and Auto Repair provides 24 month/24,000 mile warranty on repairs. Whether you are driving a Chevy Silverado pickup, or a lively Chevrolet Camaro, you can count on us to service and repair your vehicle. 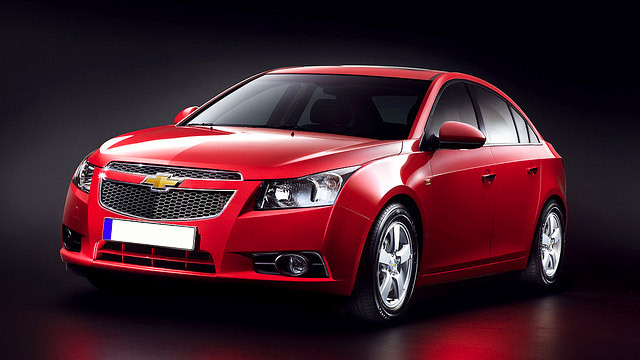 Some models of Chevrolet have had issues, like the 2005 Chevrolet Malibu which encounters steering problems, 2007 Chevrolet Silverado which tends to suffer from excessive oil consumption, or the 2002 Impala which can have electrical issues. Overall, though, Chevrolets are reliable and will serve you well for years if properly maintained. We cannot stress enough the importance of regular maintenance. Regular oil changes extend the life of the engine, and they also gives us a chance to inspect other components for impending trouble. At Goodyear Tires and Auto Repair, we can perform factory scheduled maintenance to keep your Chevrolet happy. If we find things that need to be fixed, we will prioritize them, starting with the safety issues first. Repairs we provide carry 24 month/24 000 mile warranty. We work with all Chevrolet models, including Spark, Volt, Sonic, Cruze and Impala, Malibu, Camaro, Corvette, Equinox, and Traverse. We also work with Chevy Silverado pickups. So whether you Chevy needs transmission repair, major engine work, or simply an oil change, give us a call, and our ASE certified technicians will have your car repaired and back on the road, usually the same day. Call us to set up an appointment.